Each book in the Sing Along With Me! series has five slider mechanisms and a QR code with directions for how to download both an instrumental and vocal version of the nursery rhyme. Simply scan the code to listen and sing along! Slider mechanisms on each page and cheerful illustrations will make these favorites for sharing. 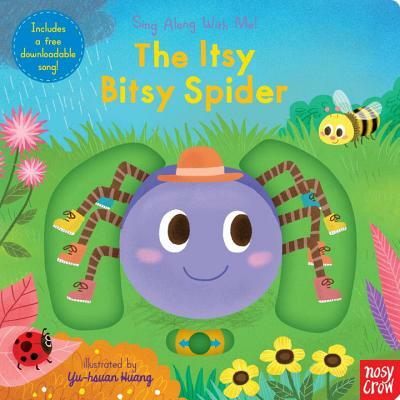 Join along with the beloved nursery rhyme in The Itsy Bitsy Spider. Yu-hsuan Huang, also known as Smallx2, started her career as an illustrator, working on editorials, picture books, and commercial projects. She also has her own illustration brand named Smohouse. She lives with her family and two lovely cats in Taiwan.